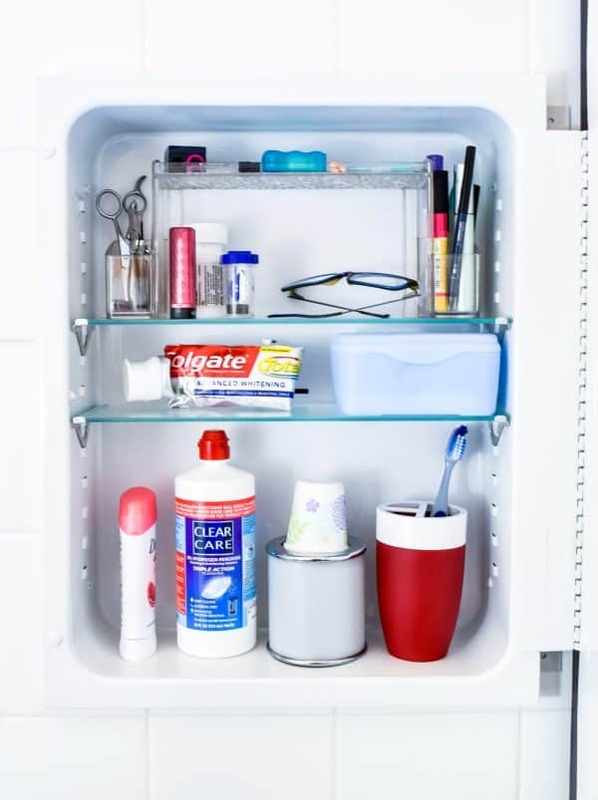 Do you have a metal medicine cabinet that makes you cringe? Give it a new coat of paint to make it sparkle, and keep it from rusting again! 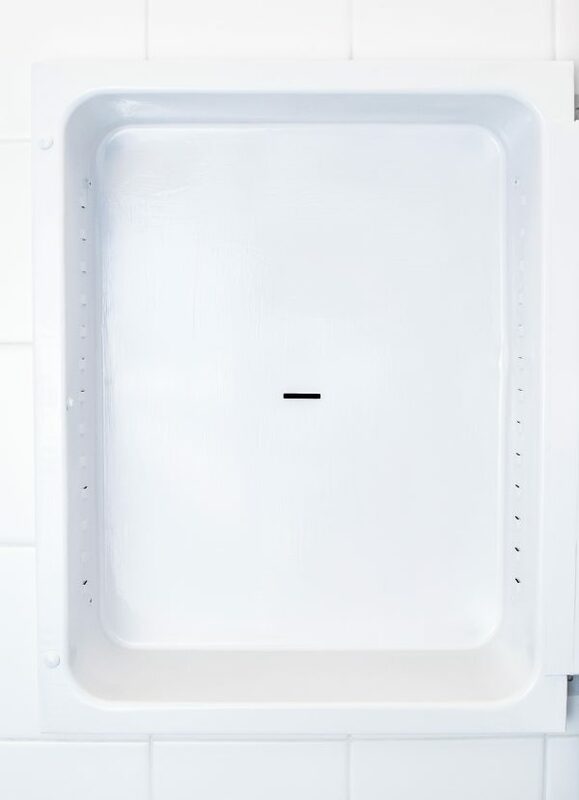 Are you afraid of what people will see when they open your medicine cabinet? No, not the anti-itch cream or the hair regrowth tonic. I’m talking about the gross rust that’s eating away the enamel like a cavity on a sweet tooth. 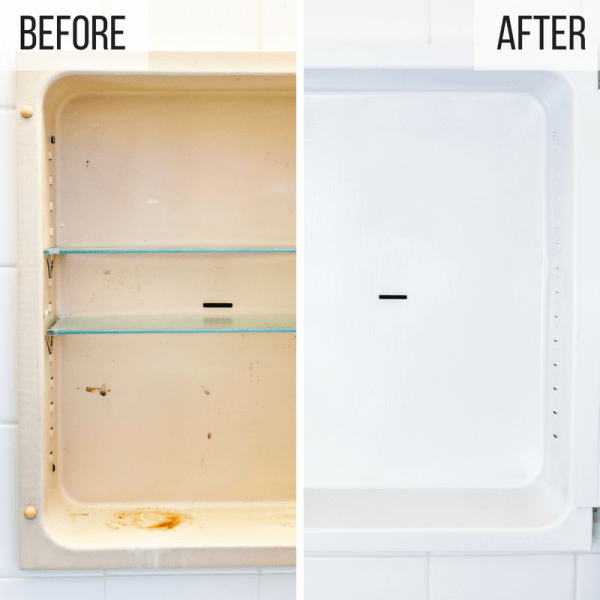 I’m going to show you how to paint a metal medicine cabinet sparkling white, and the proper paint for keeping it rust-free! Every morning I was reminded to do something about this ugly pinkish-tan atrocity. I stared at it daily as I brushed my teeth. I vowed to fix it every night as I got ready for bed. Then the cabinet door closed and I promptly forgot about it. Avert your eyes if you’re squeamish, because this before picture is just horrifying! 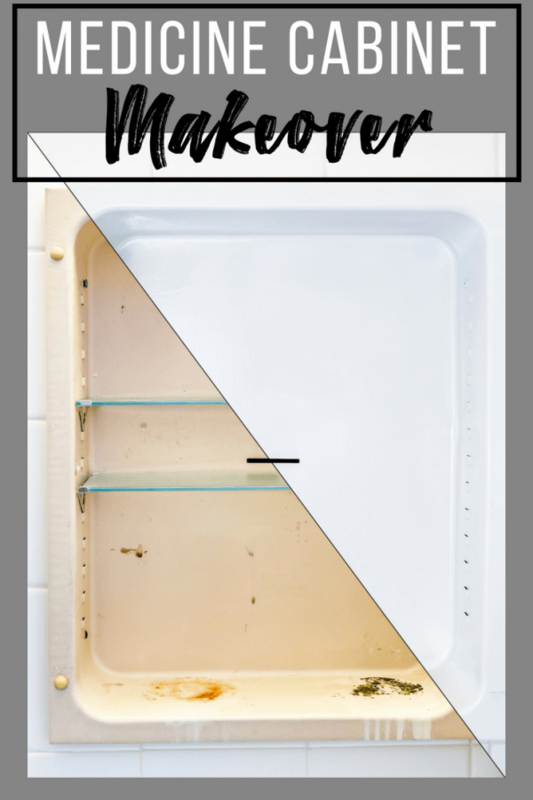 I was looking for an easy DIY after my crazy $100 room makeover challenge last week, and this project was the perfect palette cleanser! Sometimes simple improvements like this make the biggest impact, and you don’t even realize the difference until it’s finished. Don’t skimp on this! 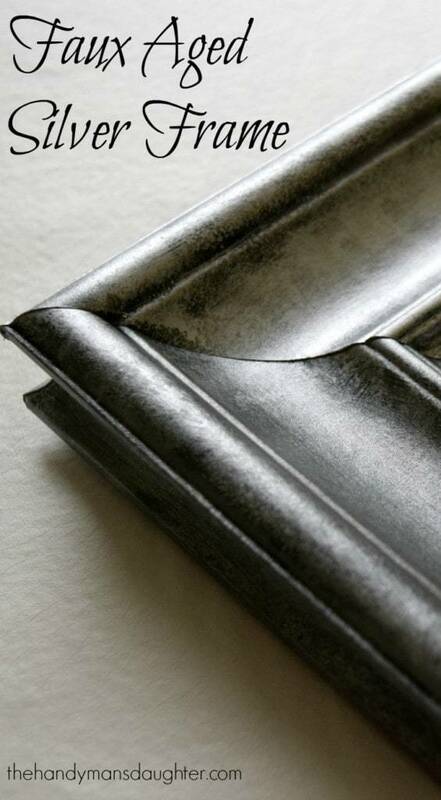 You’ll see every brush stroke with this thick paint, and finer bristles will make the job turn out much nicer. 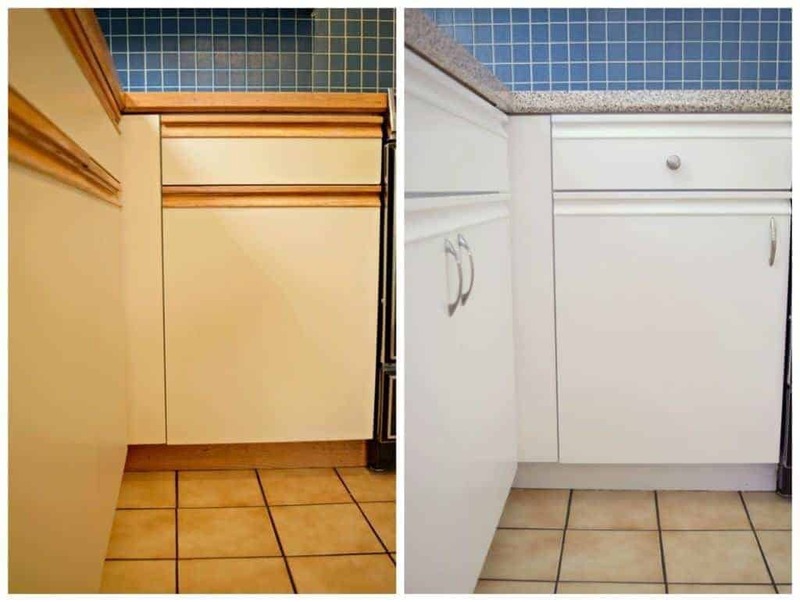 The brush linked above has a shorter handle, making it easier to get into the corners of the cabinet. I debated taking the entire thing out of the wall and spray painting it with my trusty HomeRight paint sprayer. But the screws holding the cabinet between the studs were just as rusty as the rest of it, and would put up too much of a fight. I applied painter’s tape to the tile around the medicine cabinet and to the mirror frame. First, I gave the entire metal medicine cabinet a good scrubbing with fine steel wool to loosen up all the gunk. 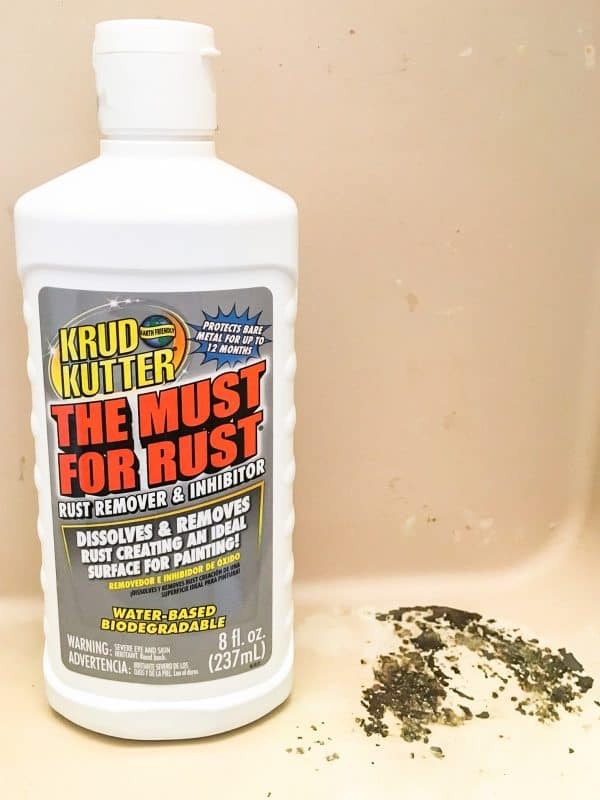 Then I applied Krud Kutter to the worst spots. This stuff dissolves rust and makes a smoother surface for painting. I let the surface dry for an hour before tackling it with a paint brush. 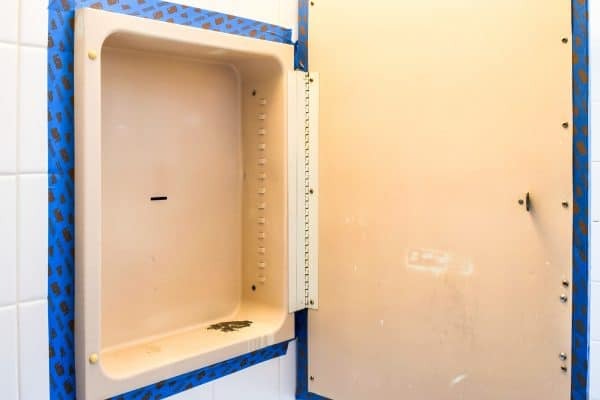 The entire cabinet got two coats of Rust-oleum Clean Metal Primer, which is perfect for covering up the old rust and ugly pinkish color, as well as preventing future corrosion. It’s stinky stuff, so open up the windows or run the bathroom fan while you’re working and as it dries to vent the fumes. Be aware that this oil-based primer takes a loooooong time to dry. I gave it about 12 hours between primer coats, and 24 hours before applying the final topcoat. You don’t realize just how often you use a medicine cabinet until it’s out of commission for a few days! For the final coat, I went with Rust-oleum’s protective enamel paint in gloss white. This will be the first line of defense against moisture, and the glossy surface will make cleaning easier. Behold, the power of paint! I took this opportunity to clear out some unused makeup and multiple boxes of floss. Now the medicine cabinet is bright, clean and organized! When I see the before next to the after, it really makes me wonder why I didn’t do it sooner! With the right paint for the job, you can transform anything! Here are some other projects I updated with this magical stuff. Just click on the photo to go straight to the post! That’s brilliant, what a transformation. Good to know what really works. This really looks amazing and I imagine you just brush your teeth and smile while looking at it. At least that’s what I’d do 😀 Thanks for sharing with us at Funtastic Friday! It’s more like a sigh of relief when I open the medicine cabinet door! A much better way to start my mornings, for sure! 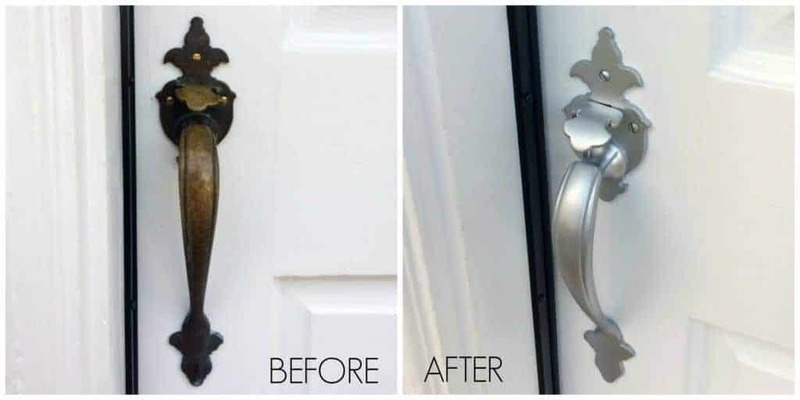 It is truly amazing what paint can do, great transformation! Thank you for sharing with us, you were featured today at the To Grandma’s house we go link party! Thanks so much for featuring me! I’m honored! Can’t wait to try it. I am searching for 3 of the shelf brackets. Same type as you have. Do you know of a source? If you can’t find the brackets online anywhere, I would check Craigslist or an architectural salvage store to see if anyone has the same style of medicine cabinet for sale (or sometimes even free!) Then you could take the brackets from that medicine cabinet and have extras on hand too. You’re a whiz!!! Thanks for all the tips! Great job, Girl!! It all looks new. That was awesome! Great tips. I love this idea! 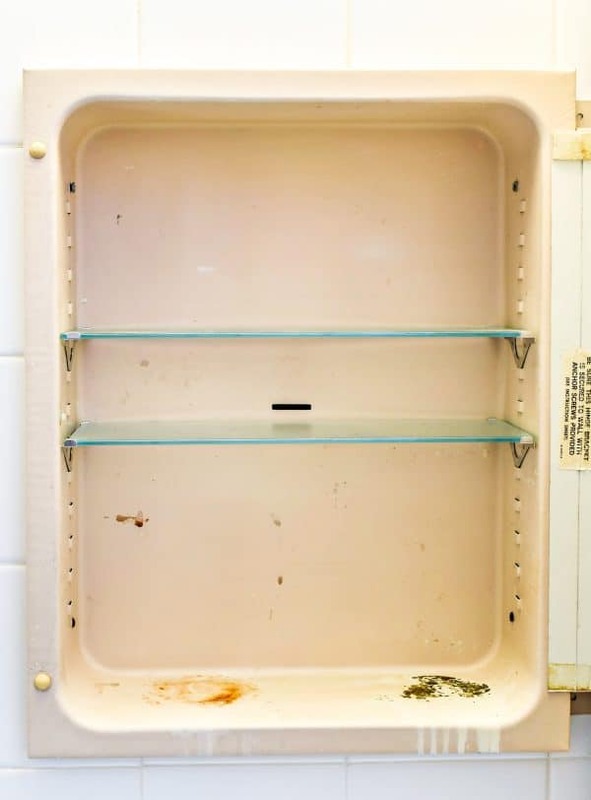 I have a medicine cabinet in the same condition that I need to work on. I was wondering — now that a few months have passed, are you still happy with it? Absolutely! 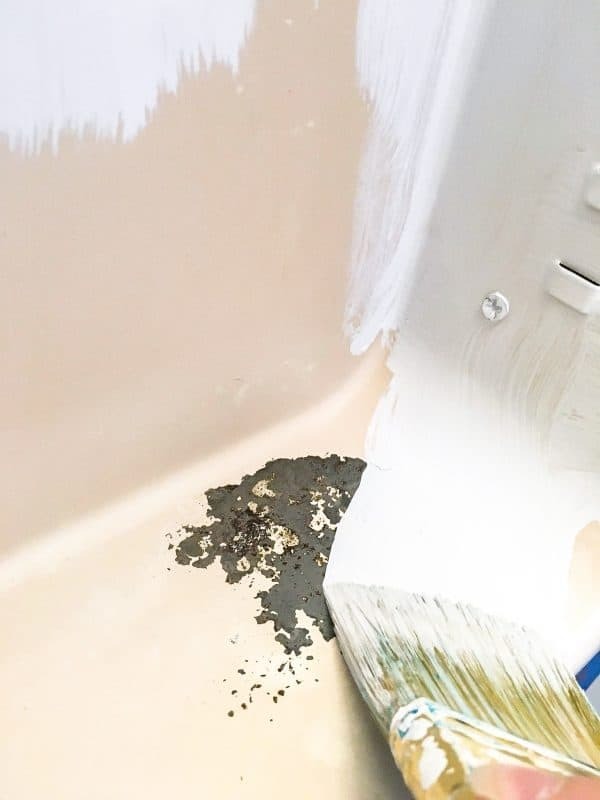 The paint still looks perfect on 99% of the medicine cabinet. A little bit has chipped away from the bottom shelf where we keep our toothbrushes, but I blame that on our 8-year-old who is less than gentle when putting back the toothbrush cup! I was just debating if I had to remove my cabinet or if I could just paint. Thanks for the insight. Looks great! Hi, I can’t wait to do this. I have everything in my amazon cart, but I am debating between the white gloss paint and the satin finish. 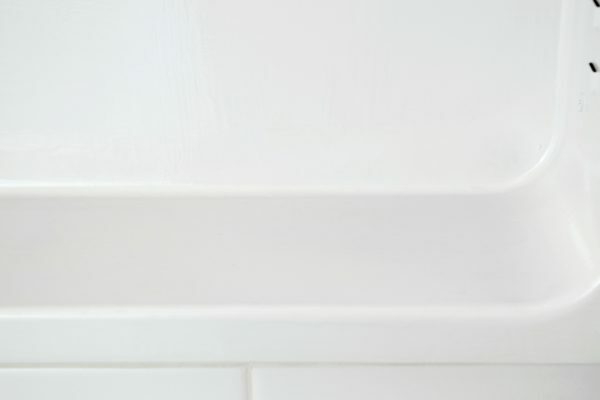 I was just wondering if the gloss is very shiny or is it very similar to the to the finish that most medicine cabinets come in. Gloss is pretty shiny, but it allows you to wipe up the bottom shelf easily. That’s where we keep the toothbrushes, so it gets sticky after a while. The gloss has held up great, and you can’t tell that it’s shiny when the medicine cabinet door is closed. Ew, Gross! This is exactly what mine looks like. I pack it full so you can’t see the rust and continue to be in denial. That is why it has looked like this for 13 years. I’m inspired to clean it out and freshen it up. Thanks for sharing! Looks great, you weren’t exaggerating – it really was horrific!!! Amazing transformation. Thank you for sharing at Party In Your PJs! I just finished painting my old medicine cabinet (it’s EXACTLY like yours!!) per your instructions and it’s beautiful!! I’m so proud of myself & my husband is amazed!! Thank you! That’s great! I love hearing from readers who have done my projects. I’m so glad I could help! Enjoy your new/old medicine cabinet! I have the exact same cabinet and mine looks truly horrific. Time to stop saying I’ll “do it later” and actually get it done!